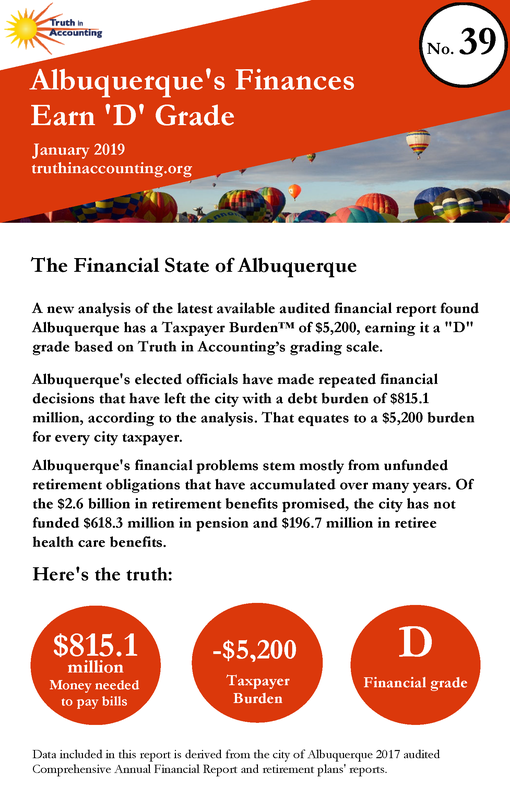 Albuquerque's Taxpayer Burden.™ is -$5,200, and received a "D" from TIA. Albuquerque is a Sinkhole City without enough assets to cover its debt. 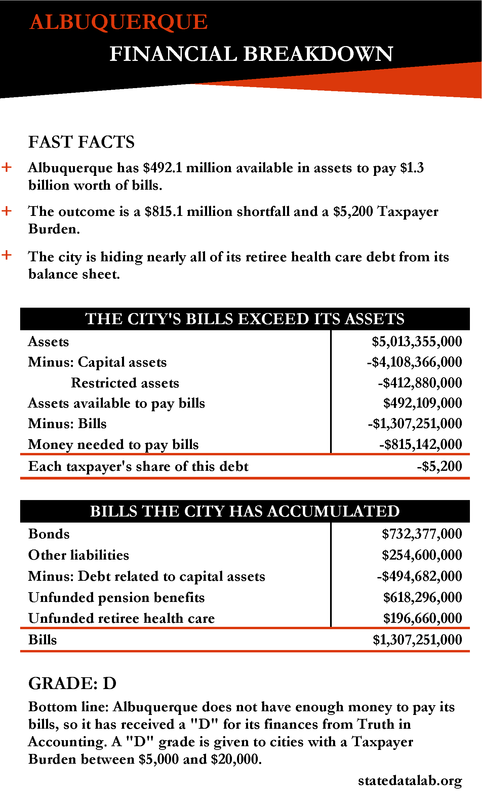 Albuquerque only has $492.1 million of assets available to pay bills totaling $1.3 billion. Because Albuquerque doesn't have enough money to pay its bills, it has a $815.1 million financial hole. 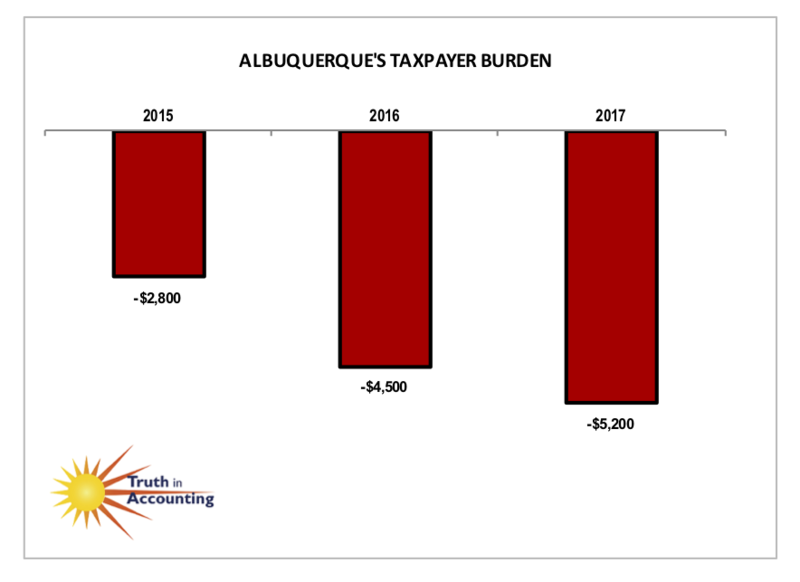 To erase this shortfall, each Albuquerque taxpayer would have to send $5,200 to the city. The city is hiding nearly all of its retiree health care debt. A new accounting standard will be implemented in the 2018 fiscal year which will require governments to report this debt on the balance sheet. The city's financial report was released 168 days after its fiscal year end, which is considered timely according to the 180 day standard. Certain influential state legislators, and staff at New Mexico’s pension funds themselves, have recently proposed “fixes” for our pensions.